Whatsapp will charge 34 paisa for each commercial message! And, the day has finally arrived when Whatsapp, world’s largest messenger, will start the monetization of their platform, in India. Whatsapp has announced that their API or Application Programming Interface would be now available for businesses, and MakeMyTrip would be their first customer in India. Meanwhile, Whatsapp’s payment services have now received another roadblock, and this time, it is their office which is to be blamed. Or rather the non-existence of their office! 1 Whatsapp’s Paid Message Service Starts! 2 Penalty For Late Reply? 3 What Services Can Be Offered Via Whatsapp? 4 Govt Of India To Whatsapp: Where Is Your Office? Whatsapp’s Paid Message Service Starts! Whatsapp’s very first revenue-generating product in India would be their APIs, which businesses can use to schedule and send commercial messages. As per incoming reports, each commercial message would be charged between 0.5 cents to 9 cents (34 paise to Rs 6), depending on the country, and the business. 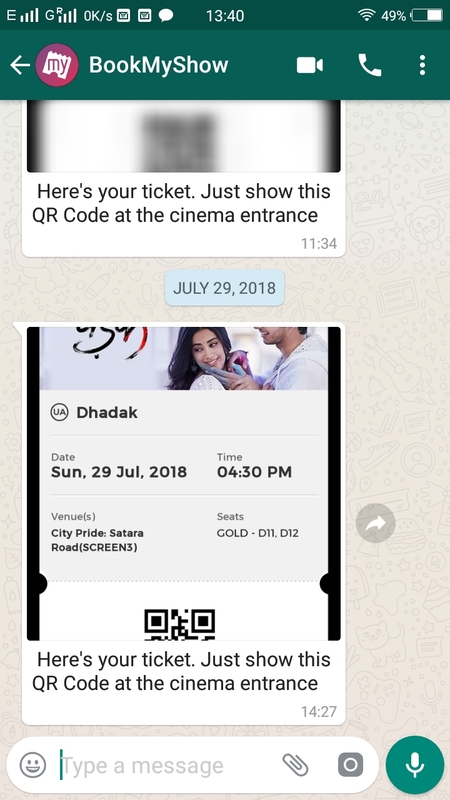 MakeMyTrip, India’s one of the most popular travel app would be the first to use their APIs and send commercial messages. Zendesk and 1MG will be also using the business APIs for sending commercial messages. Interestingly, there is a provision wherein, if businesses are late in sending replies back, then the cost of messages would increase. This has been done to make businesses aware of the value of time, and to create a better user-experience for the users. Besides, Whatsapp has also acknowledged that the charges for their text messages are indeed higher than SMS, which businesses are right now using. However, Whatsapp is confident that the value proposition will make the charges justified. What Services Can Be Offered Via Whatsapp? Businesses are keen to leverage Whatsapp’s immense reach and massive platform. Airlines and travel businesses can use Whatsapp to send tickets to their customers and to update them about any delays etc. Banks can use Whatsapp to keep customers updated about their account and to suggest new offers. Health startups like 1MG can take orders from the customers directly, and even make the payments, once Whatsapp payments is live. Govt Of India To Whatsapp: Where Is Your Office? Meanwhile Govt. of India has told Whatsapp that they cannot be allowed to launch their Payment Services, until and unless they have their own office in India. This was in response to Whatsapp’s earlier qualms that they are not able to launch full-fledged payment services because Govt. has still not given the green signal. As per reports, Axis Bank and HDFC Bank too will join Whatsapp’s payment services now.